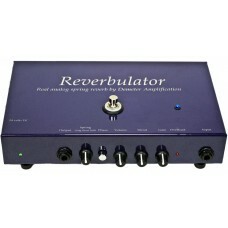 The RRP-1 Real Reverbulator is the ONLY Real Spring Reverb manufactured in pedal form. Designed with the same revolutionary technology as the award winning RV-1 Real Spring Reverb, the RRP-1 can give you everything from subtle surf rock tones to full on ambient sound effects. More versatile than any onboard reverb, the RRP-1 takes spring reverb to a whole new level. 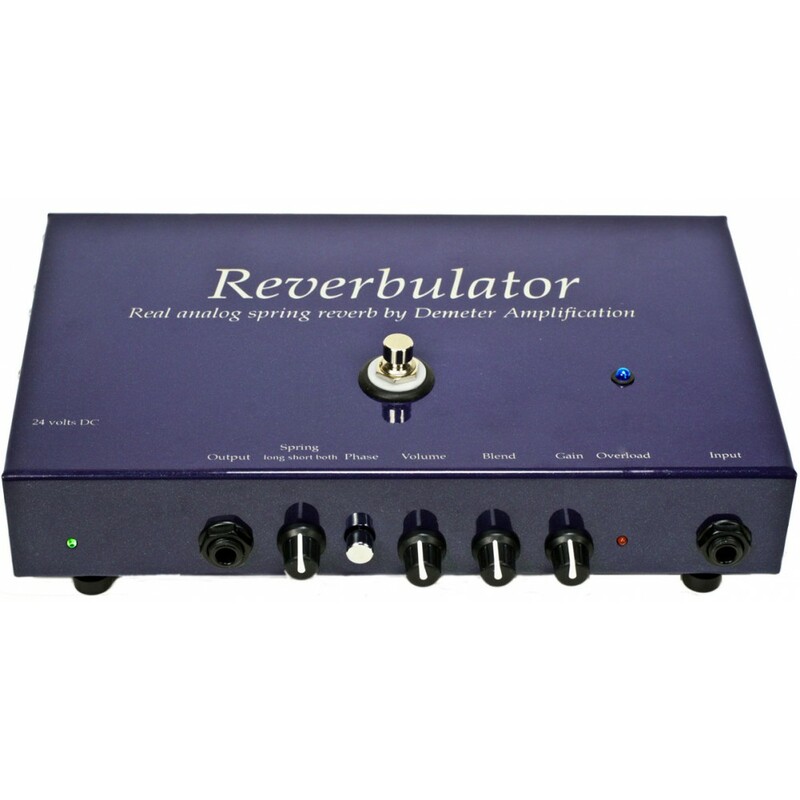 The Reverbulator uses two separate Accutronix spring tanks (long and short), to provide multiple reverb options. The short spring has a fairly quick decay time, whereas the longer spring has a lingering ambiance. You can use each spring tank individually, or enable both for multi-dimensional effects. The RRP-1 can also operate at line level, allowing you to use the pedal in the studio as an auxiliary effects send. Although it may look a little strange, the RRP-1 is perfectly at home next to any of your other pro audio rack gear. Operation is fairly simple. For use on a guitar pedal board, simply plug in the unit at the end of your effects chain (or in your effects loop), and connect the 24 volt power supply. The unit has an over load light tell you when you are hitting the unit to hard, but there is quite a bit of headroom. This unit includes a mechanically dampened computer grade foot-switch and status indicator light. We use Burr Brown Audiophile chips and the finest components for un-compromised tone and long life. The unit measures 10"x6"x1.75" and is small enough for most pedal boards. As always, this unit is 100% handmade in the US. Spring Select: Selects either long, short or both spring tanks. Phase: Flips the phase on the long decay spring, offering additional sonic possibilities. Pete Anderson is one of the rare musicians to which the term legend applies. After more than 30 years in the music business and countless hit records as a producer, guitarist, and songwriter, Anderson has earned a place among many of the significant figures who have influenced popular music. Thank you to Pete for recording these sound files with the Reverbulator.